We believe tilapia are one of the best fish for use in the educational setting. Hardy, disease resistant, fast growing and tolerant of less than ideal water conditions they provide an ideal fish for people starting out with, and oh yah they're great tasting too. 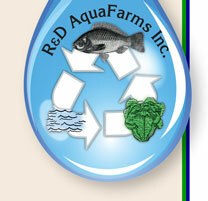 In order to archieve the fastest, most consistent growth, tilapia are best raised in an all male culture. As a result of the breeding method, not hormones, our fish are predominantly males. This provides a healthy, consistent product that can be raised organically if one desires. With proper water temperature and feeding rates they can grow from fingerling to 1.25lb. fish ready for harvest in just 9 months. Our fish are available in small quantities, and can be shipped via economical UPS Ground if you're one day ground shipping of Oshkosh Wisconsin. We also ship via next day air to other parts of the US. Or if you're local you can stop by and pick them up in Oshkosh. See the chart below for pricing and sizes available. See the ordering info page for details on this and other shipping charges. Although every effort is made to have all sizes available it is not always possible. If you know you will be needing fish at some future time please contact us and let us know. We can see that you have the fish you need at that time.